My thanks to the team over at Literature & Latte for sponsoring this post & series of content on writing. They’re the makers of the essential writing app Scrivener for Windows or OS X. Providing an all in one writing studio that allows you to edit, outline, storyboard, and most importantly write in an efficient system. Use it for scriptwriting, books, essays, and more. A must have for all writers. Scrivener is no doubt a powerful all in one writing tool. Be it essays, books, or what have you. 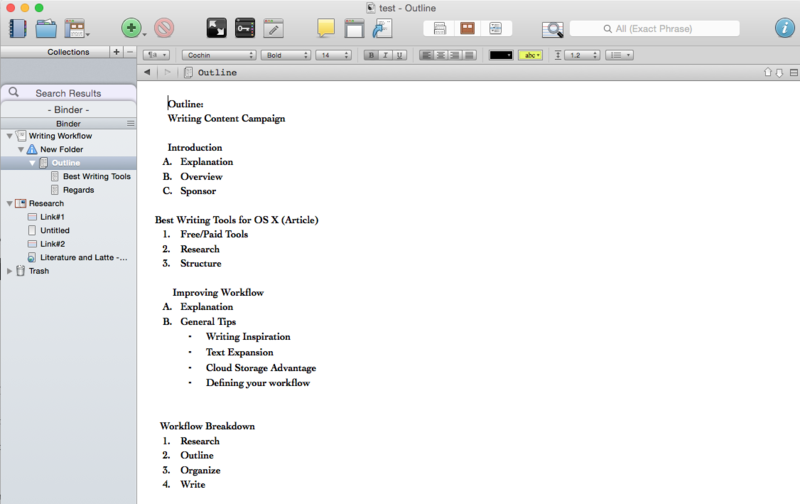 One thing I specifically have been using it for lately is for outlining, creating, and publishing an eBook. Scrivener makes it all simple & easy while allowing you to fill in all the elements you want in your eBook whether its for personal or professional distribution. Here’s a look at the process. I recommend starting off under the “Fiction” templates and then selecting “Novel”. This takes care of a lot of the structural formalities you’ll have to worry about when setting up your eBook. Such as chapters, metadata, and cover art. Now begins the actual creation aspect. Essentially with Scrivener each folder under the originally labeled “Manifest” folder (you can rename it of course) represents a chapter of your eBook. So the folder naming scheme would reflect that of your chapters. 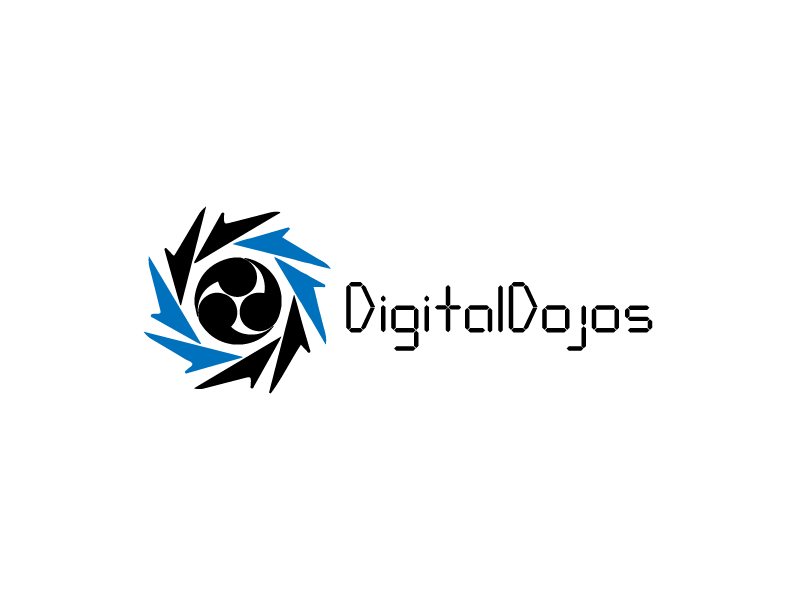 This can be tweaked later in the export process as well. Within each folder you can easily start to create your content. So your actual material text & other media. You can of course deal with things like formatting here if you’d like however keep in mind at the end before exporting there are many options to deal with such issues. Arguably a very important part of your eBook like any book is the cover. 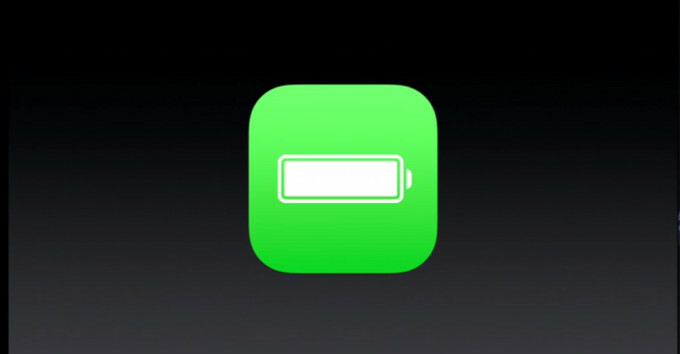 The thing that’ll be represented within whatever digital library you publish to. 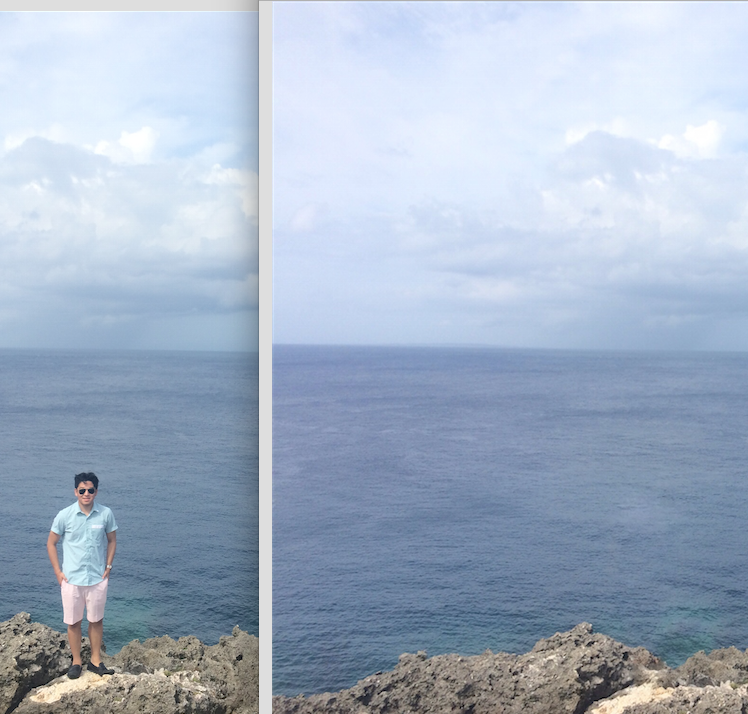 Scrivener designates this section very easily and allows you import/replace the existing image very simply. After you’ve written and imported all your material. It’s time to compile all of it together. Opening the File menu on windows or OS X should reveal a dropdown with “Compile” as one of the options. Selecting this will bring up a window allowing you to select your desired format. In the case of eBooks theres 3 major file types supported by Scrivener that you’ll be interested in. Selecting your compilation format obviously depends on what market your trying to target and publish to. After selecting this you can then enter your advanced options by clicking the “All Options” tab. This reveals a ton of options to edit before exporting. You can use this menu to do general formatting to sections, edit metadata for the eBook, adjust the overall layout and so on. It’s definitely worth combing through all of these and tailoring your eBook before the final process. The last and final step is selecting your desired export destination and letting Scrivener do the rest. From here you can now preview it in a eBook reader of your choice such as “iBooks” app or even sync it to a device to see how the eBook behaves. This allows you preview everything before publishing it out there to the web and for others to consume. From there you can now enjoy your published eBook! 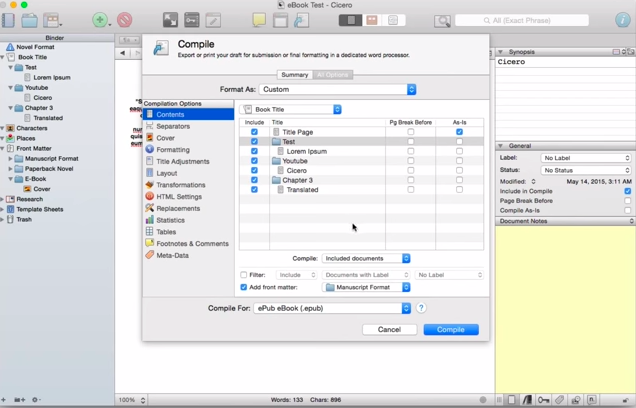 Scrivener takes this complex process and makes it as simple as 5 steps. 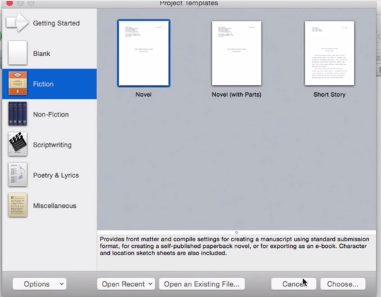 Of course your free to populate the content as much as you want and add in all the details your heart desires but at the end of the day Scrivener makes it that much more simpler to outline, create, and ultimately publish an idea to an eBook. 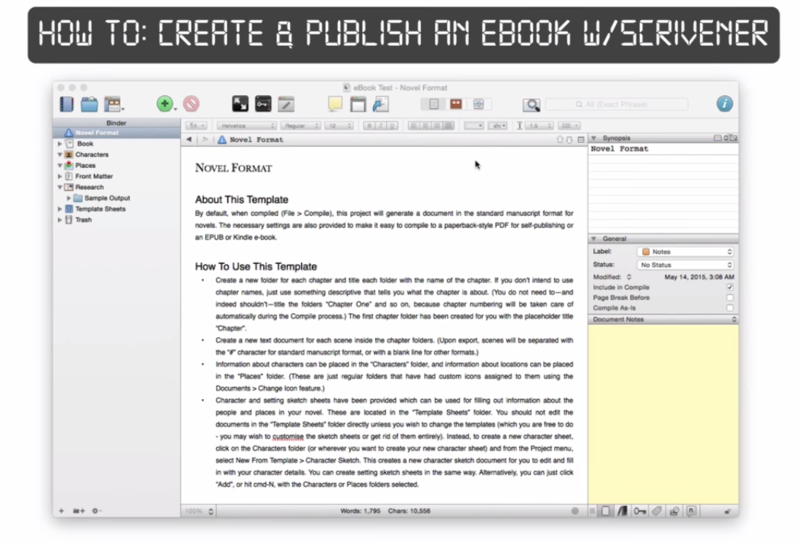 Get started with Scrivener today! Our thanks again to the Literature & Latte team for sponsoring the series of content on Scrivener & other writing posts we’ve done over the last couple of weeks be sure to check out the other posts below!